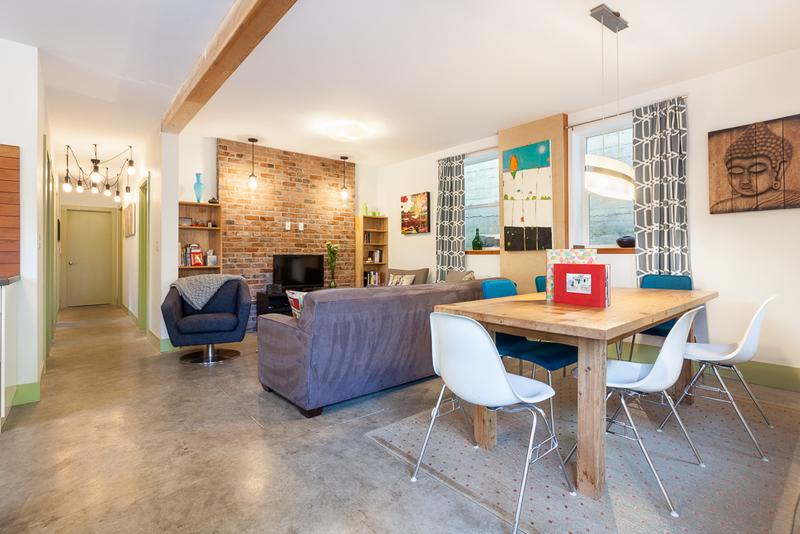 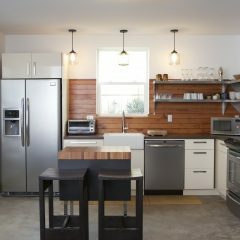 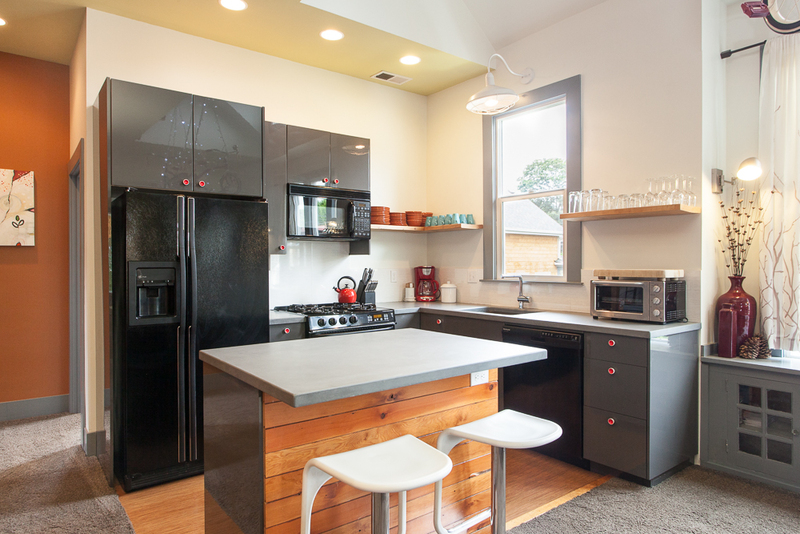 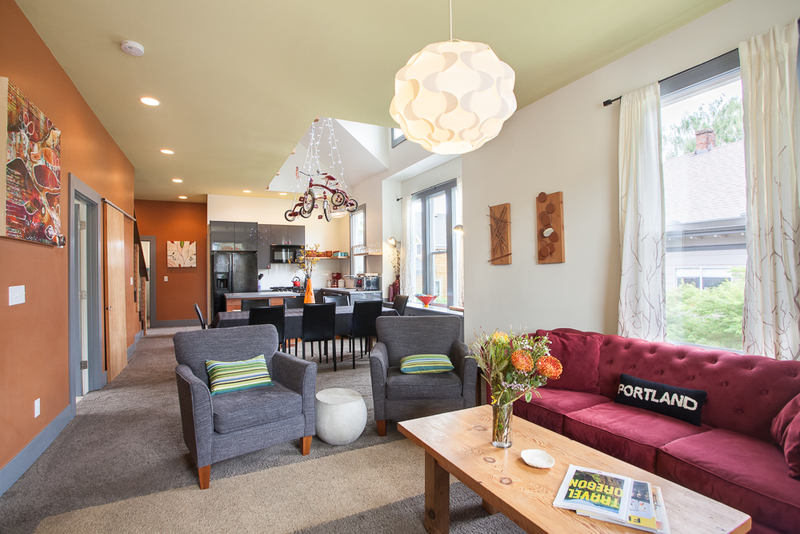 For an authentic Portland vibe in one of our most vibrant neighborhoods, this totally remodeled vintage home is wonderful for large groups. 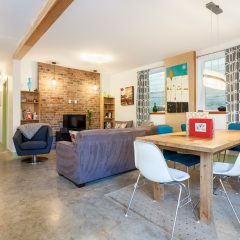 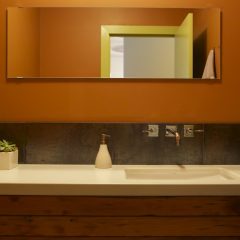 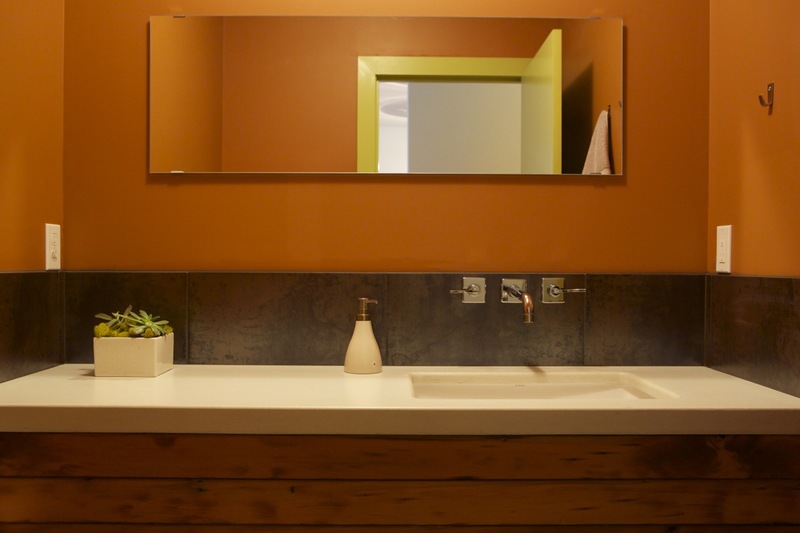 Designed and created using reclaimed and local materials, it's loaded with luxurious touches including curated art, concrete counters, modern tiles, and tons of natural light. 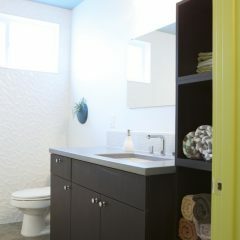 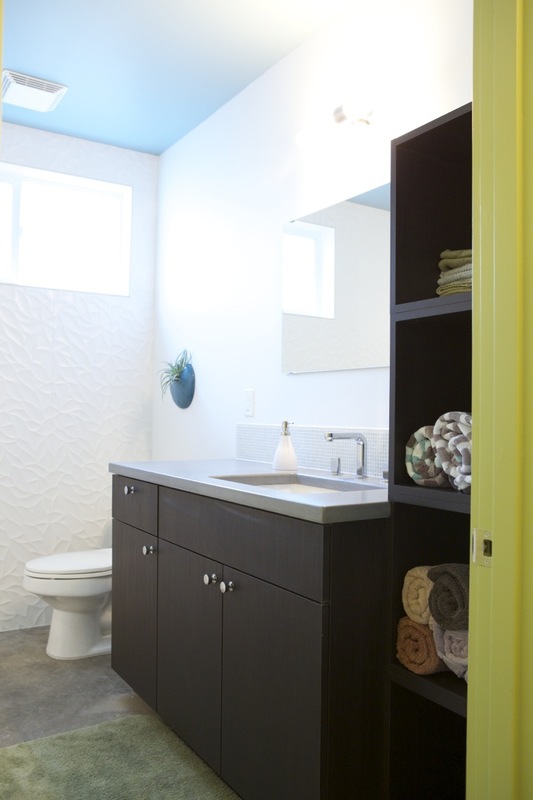 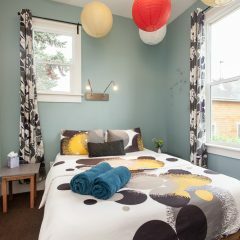 It's truly a design haven! 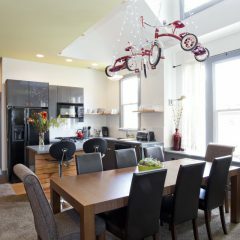 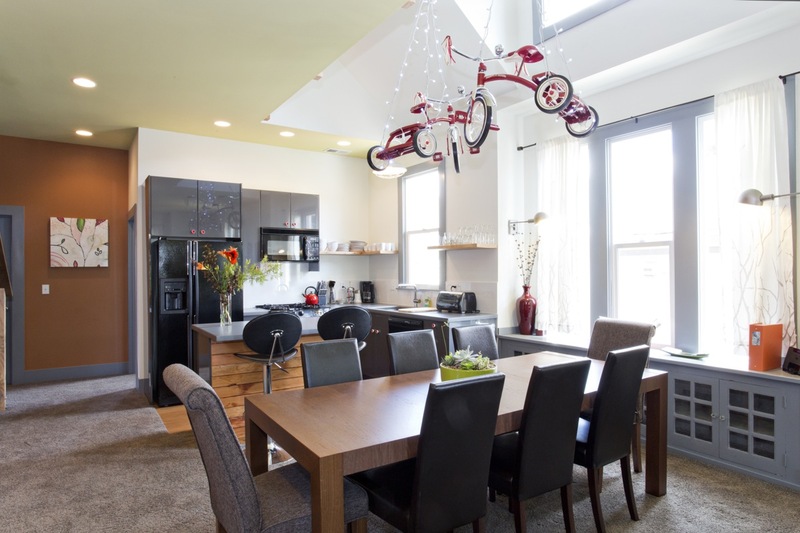 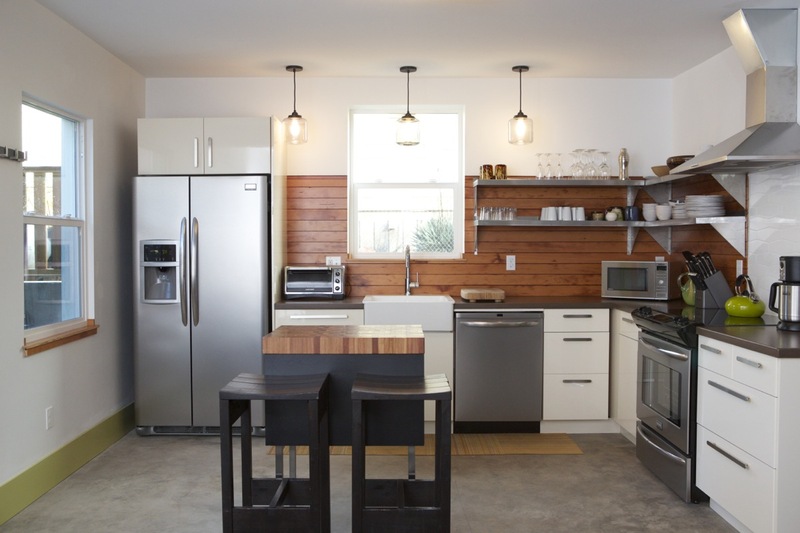 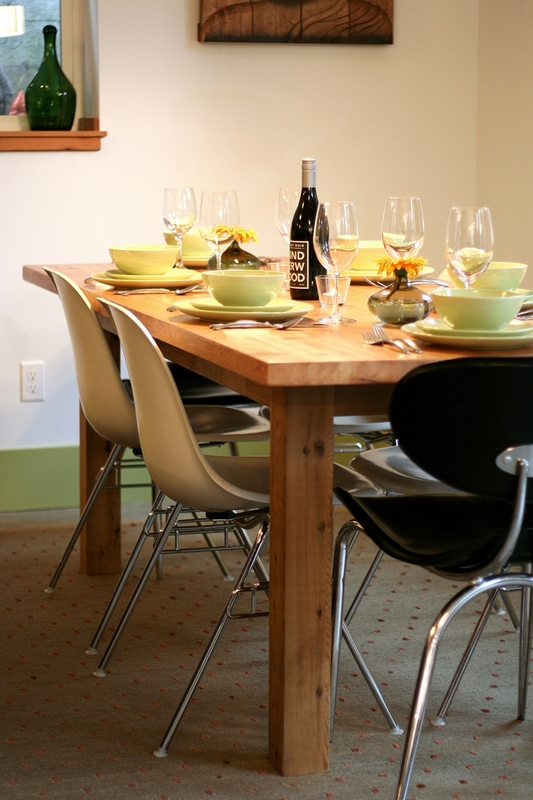 The house consists of two separate apartments that can be rented together for larger groups. 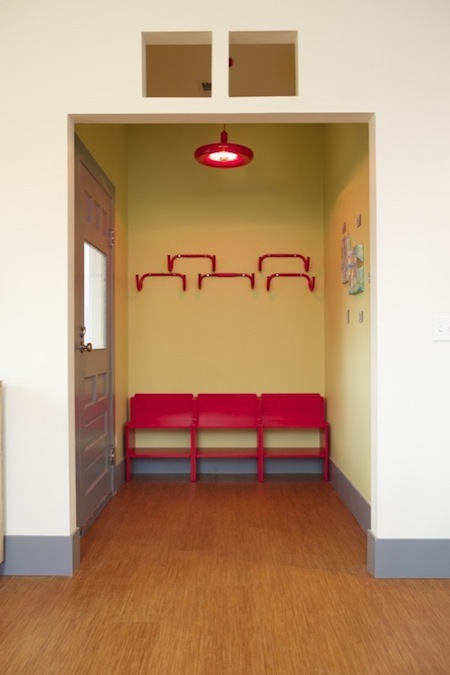 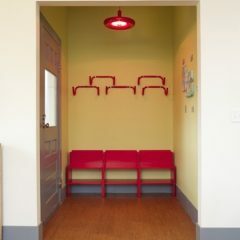 Entrances are separate and there is no access from one unit to the other from the interior of the house. 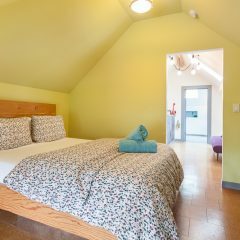 It’s the perfect home-base for wedding parties, reunions, workshops, family getaways, business meetings, or just exploring the area. 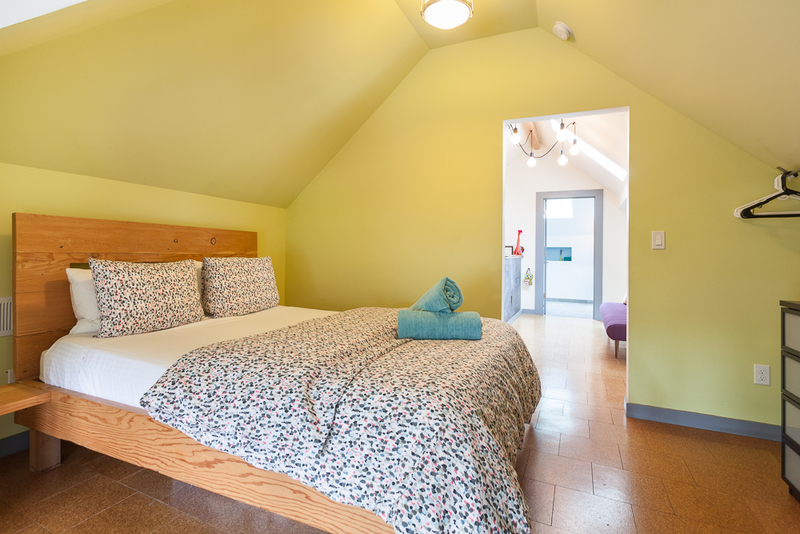 The entire property consists of seven bedrooms. 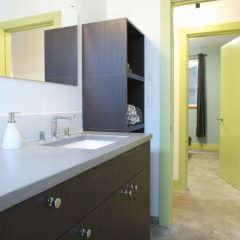 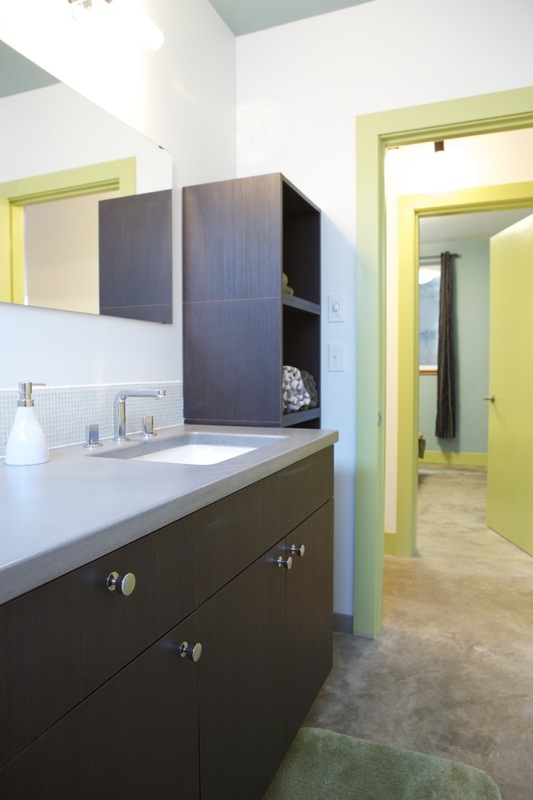 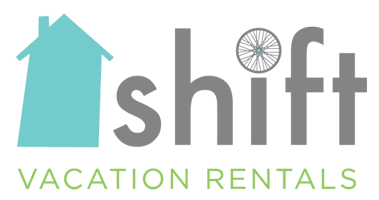 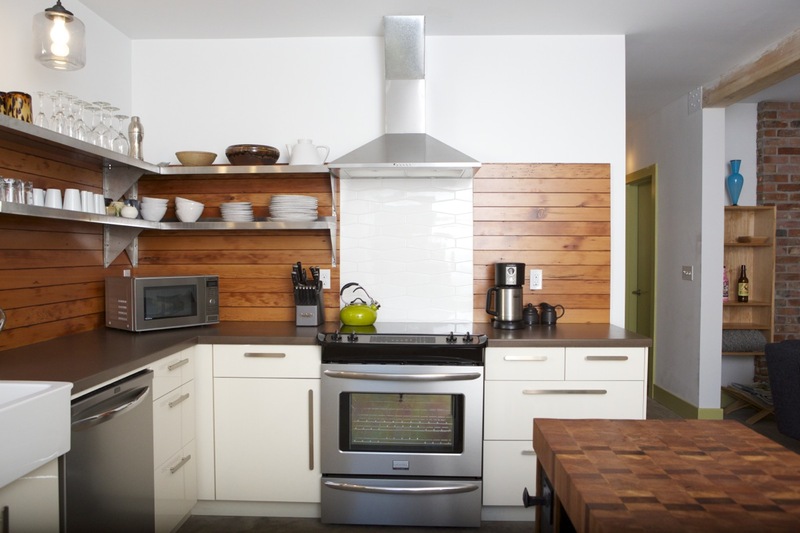 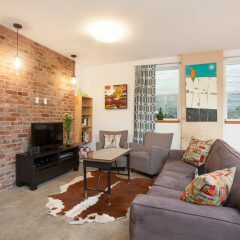 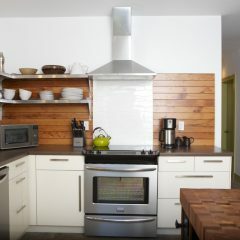 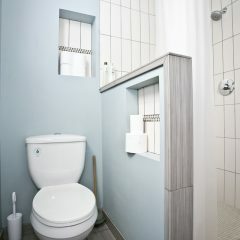 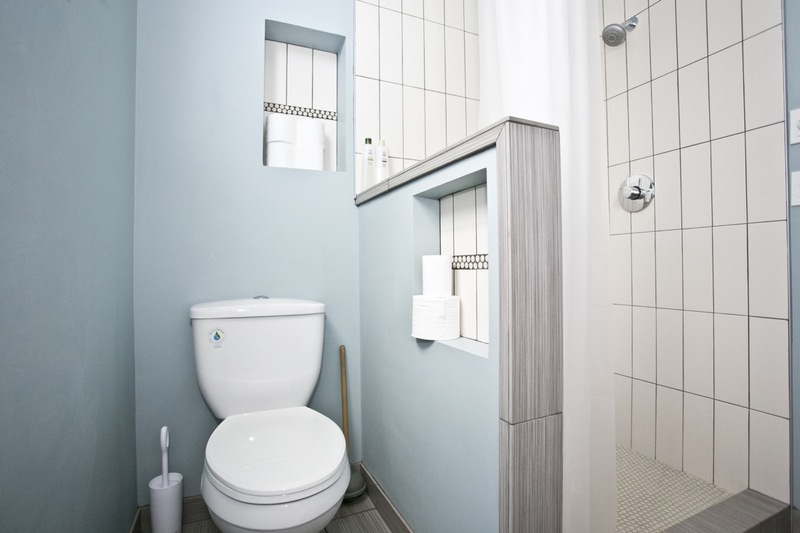 Each unit is a fully-functioning and designed to be rented separately as well, so each has a full kitchen, living, dining area, and bathrooms. 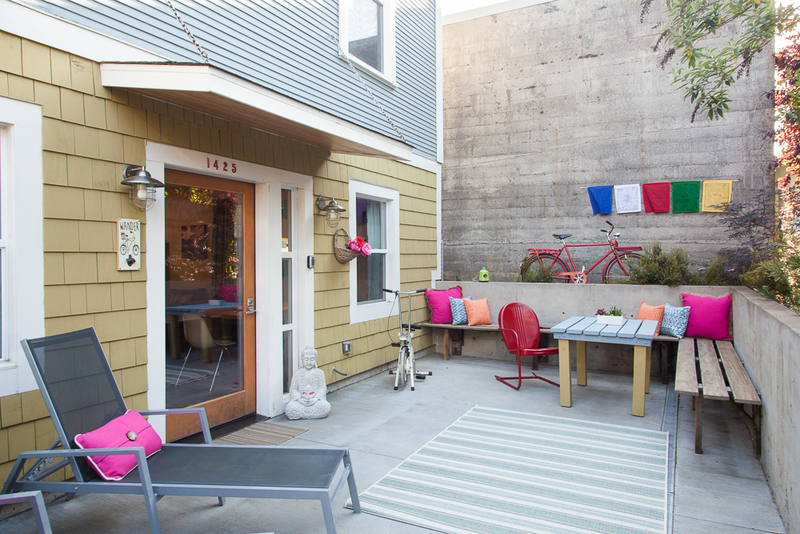 There are several private lounging and patio areas for intimate conversations, along with shared space for the entire group to gather. 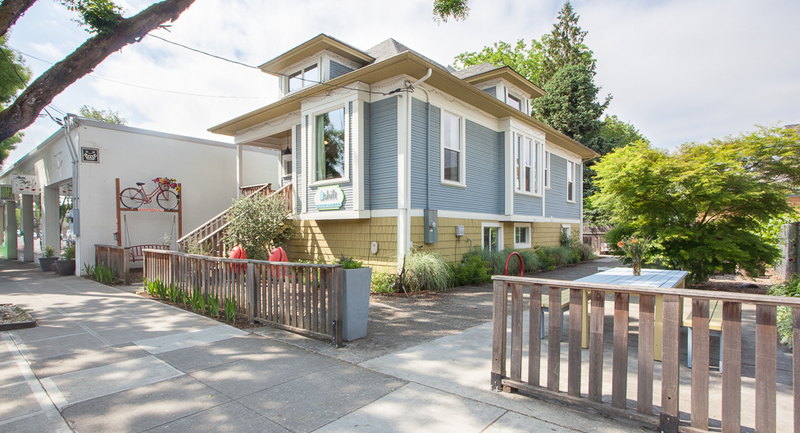 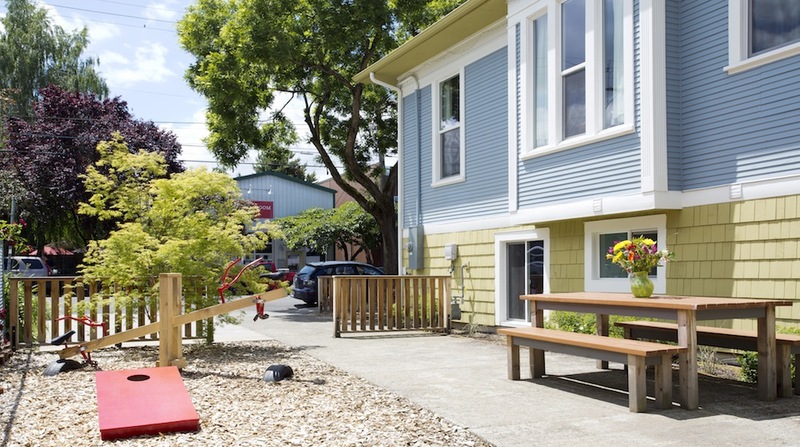 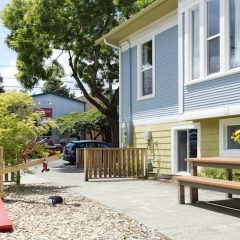 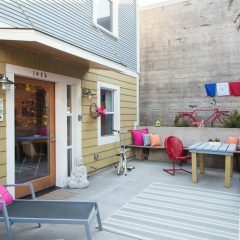 The side yard is a beautiful space, perfect for outdoor eating, playing, or watching the action on Alberta Street. 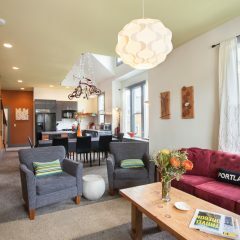 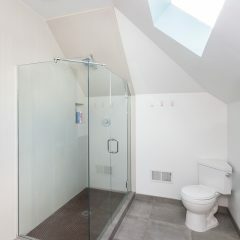 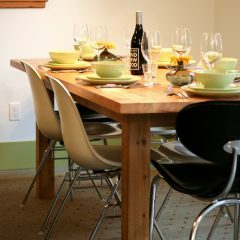 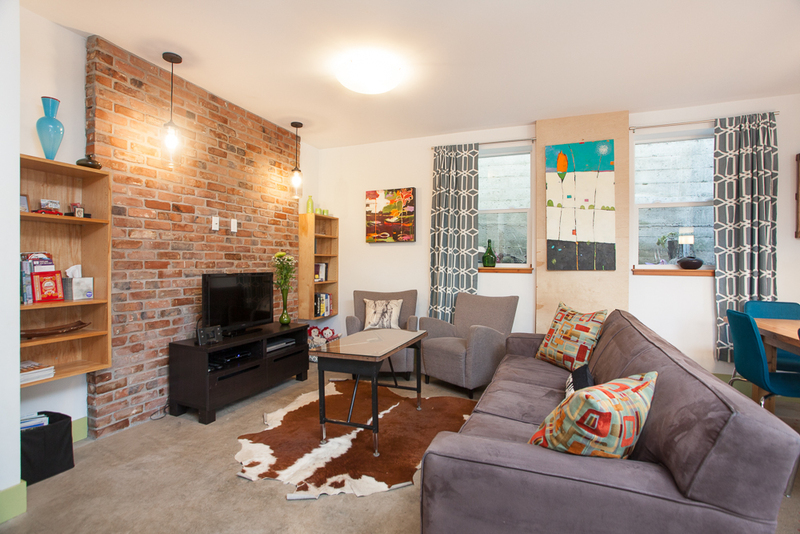 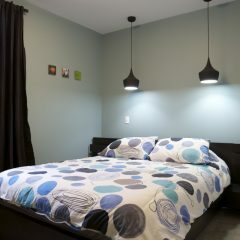 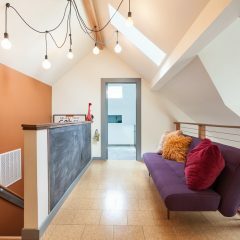 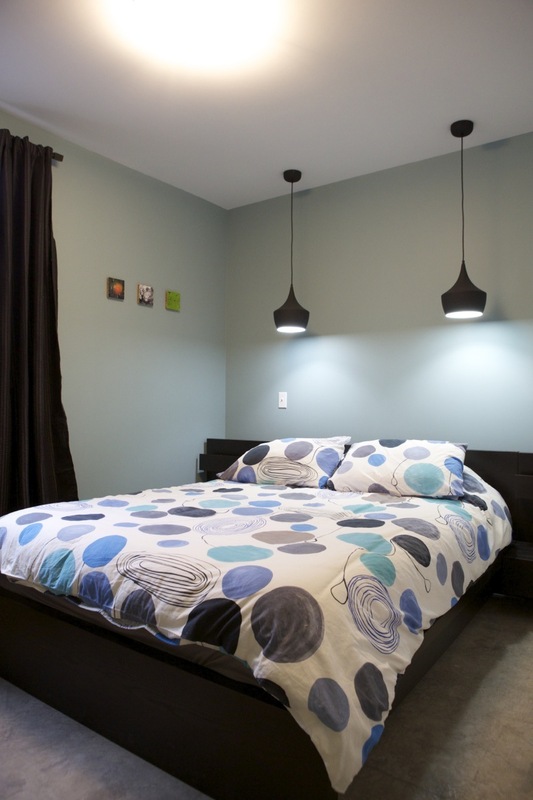 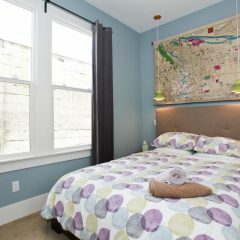 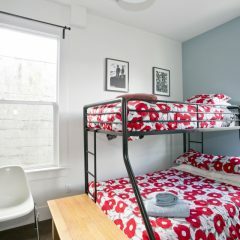 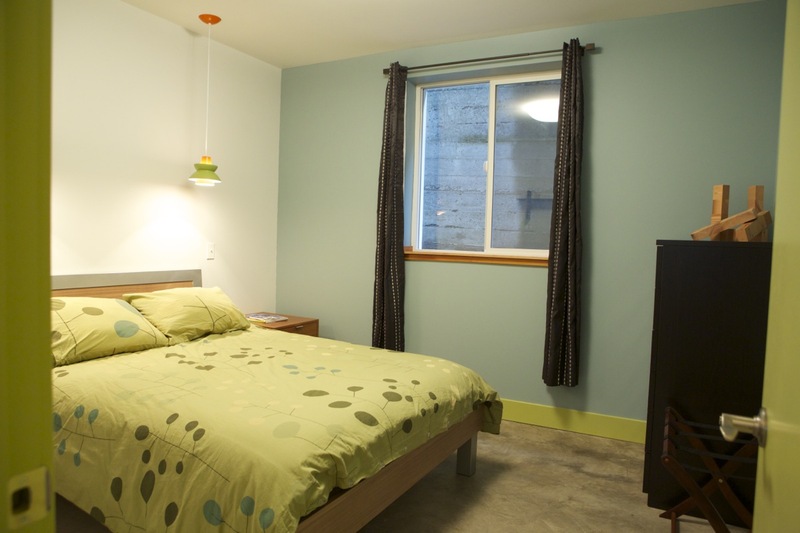 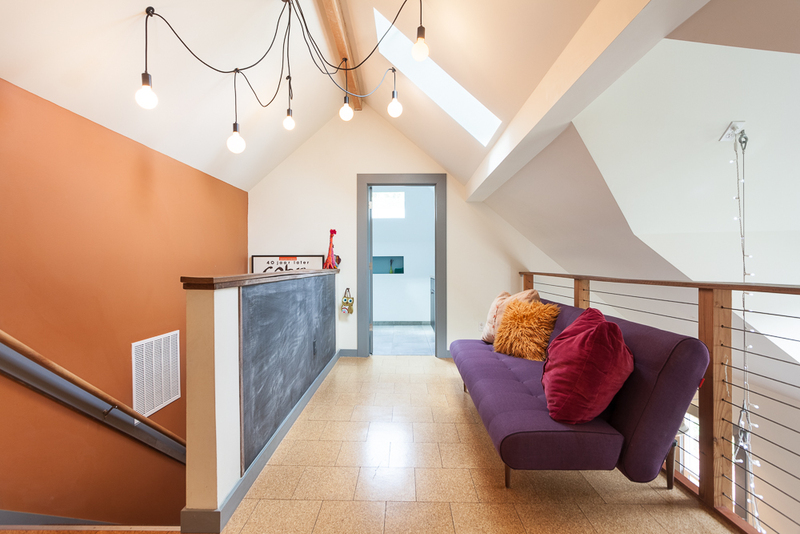 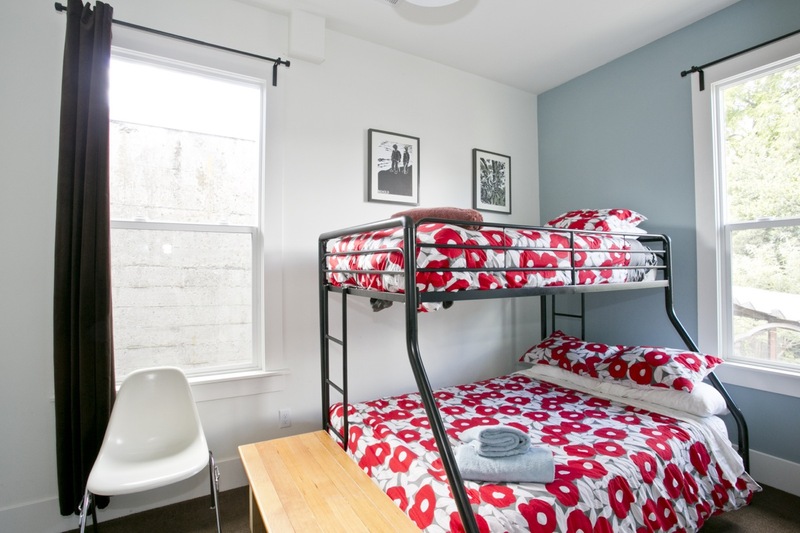 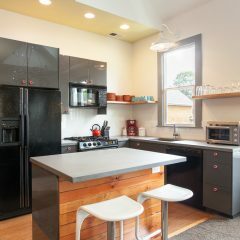 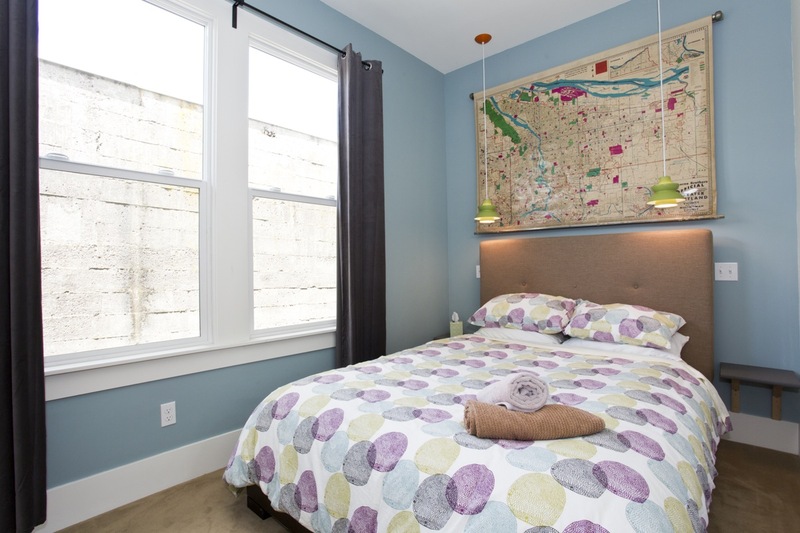 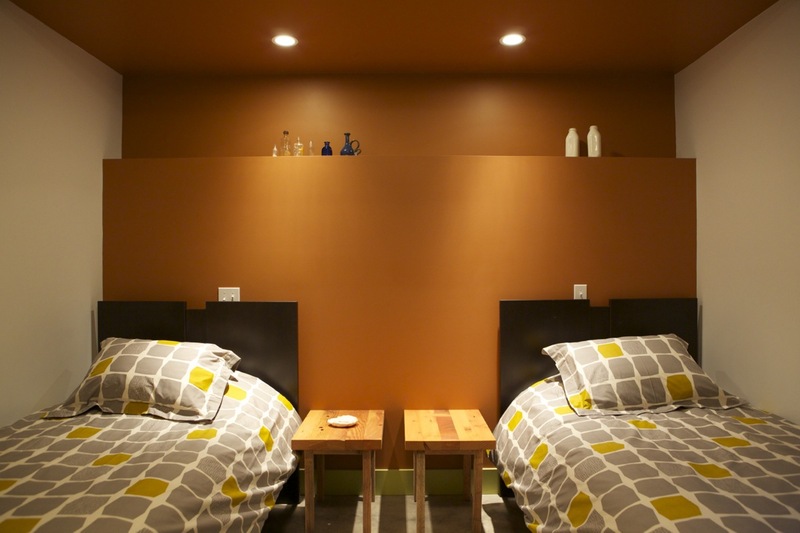 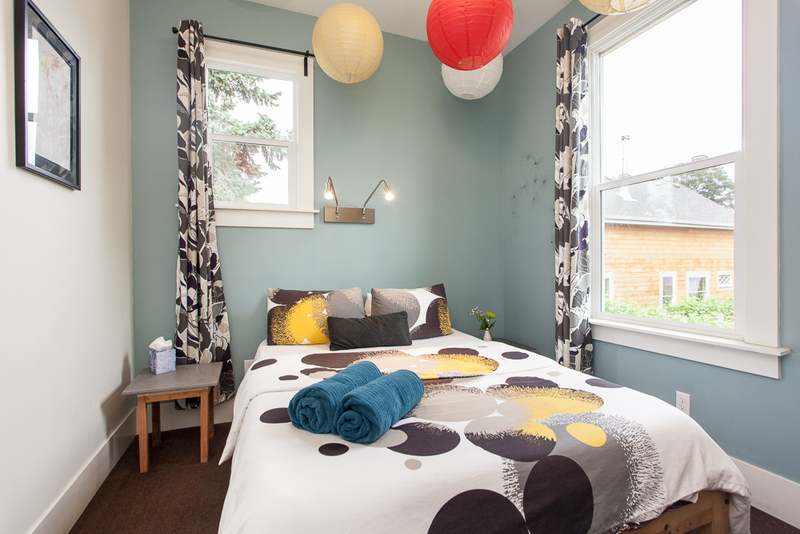 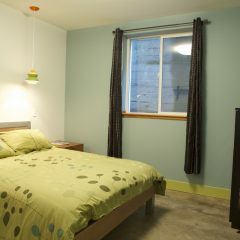 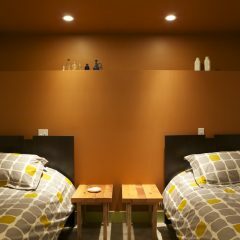 Comfortably sleeps 15 - futon in upper loft area available for sleeping up to 16 people. 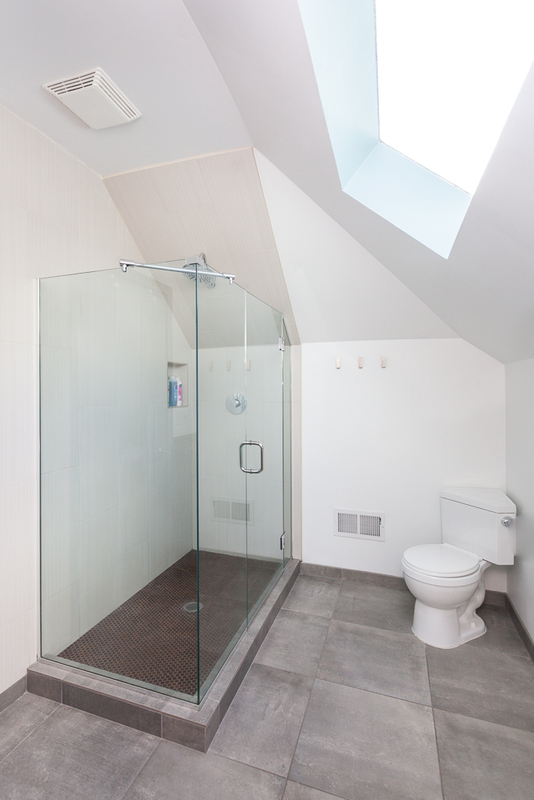 The two parts of the house need to be accessed from the outside- there is no internal staircase.